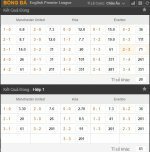 188Bet Review - Is 188Bet a Safe Asian Bookie? In addition to English, their website is available in Chinese, Indonesian, Japanese, Korean, Thai, Vietnamese, and Khmer. They offer betting accounts in dollar, pound and euro, plus most of the popular Asian currencies including RMB, SGD, THB, IDR, VND, HKD and MYR. Later in this review I will explain their massive growth in markets outside Asia, such as the UK and Brazil. First I cover some features of each of their products. I then conclude with their banking options available to residents of various Asian countries. 188Bet is known for their high risk tolerance which has made them popular worldwide. While other bookies are quick to give personal limits, their traders are okay with servicing winning bettors. For football they offer the industry’s leading odds. For Asian handicaps involving English Premier League (EPL) and major leagues from Spain, Italy and Germany their margins are less than 1.5%. Their coverage is also massive. Of course it is possible to bet Premier League, La Liga, Serie A, Bundesliga, etc. You can also bet leagues as minor as Greece Div.2, Italy Serie C Cup, Poland Div. 2, Russia Div. 1, Croatia Cup, Bulgaria Cup, Norway Cup, German Bundesliga 2, Romania Div. 1, Cyprus Cup, Denmark Div. 1, France Ligue 2, Thailand King’s Cup, Brazil Serie B, Japan League 1, Korea K-League, Argentina Primera Div and much more. In fact they cover more than 400 different leagues worldwide. While most known for their Asian handicaps, they also market themselves as in-play specialists. This is in fact a legitimate claim, as at 188bet you can find more that 10,000 matches available for live betting each month. Of course, while football is their specialty this is not the only sports that can be bet. They also offer betting on basketball, tennis, football (American), baseball, boxing, MMA, cricket, cycling, darts, E-sports, golf, handball, ice hockey, motor racing, rugby, snooker and more. Using the same website and account balance that can be used to bet on sports, players are given the option to wager at several different seamlessly integrated online casinos. The most popular of these are their Grand Suite, VIP Suite, Imperial Suite and Royal Suite live dealer casinos. These use webcam technology to broadcast actual casino games that are dealt in live dealer studios. The bets are made online but an attractive female dealer is in real time standing in front of a casino game table dealing baccarat, blackjack or roulette. The advantage to this is you know for certain the games are fair as you can see them all taking place in real-time the same way you would in a real world casino. For those who prefer fast-paced traditional online casino games that use a random number generator, those are widely available at too. The selection for slots is massive with 115 standard video slot games, 37 versions of 3D slots, and 9 progressive jackpot games to choose from. For table games there are multiple version of blackjack and is also baccarat, Caribbean poker, roulette, let it ride, red dog, oasis poker and much more available. After joining, be sure to check their promotions tab. Here you will find there are often bonuses and promotions available for the casino. While the promotions differ by country, for players from most Asian countries there is generally an ongoing percentage of turnover rebate available on all your cumulative casino bets. Keno is very popular all around the world, including in Asia. With the lottery in China the game is called Happy 8, in Taiwan it is called Bingo Bingo, and when playing at the Lisboa Casino in Macau it is called Pacapio. This same game is available online too. It is worth first noting that online keno was traditionally slow to catch on at other casinos. This is because online Keno results are determined using a Random Number Generator (RNG). While there is some level of auditing conducted by gambling commissions, players cannot be certain this process is not corrupt. There is some chance the games might be rigged at various casinos. At 188Bet players should feel much safer than playing at those other sites. The reason 188Bet is safer is because here players bet online on the results of major offline keno draws. How it works is the bets are placed online in their keno section, but what is being wagered on is the actual results of legal government ran or facilitated keno draws from Beijing, Australia, Canada, Slovakia, Malta and other places around the world. You can verify independently with these government lottery sources that the results 188bet displays are in fact authentic. 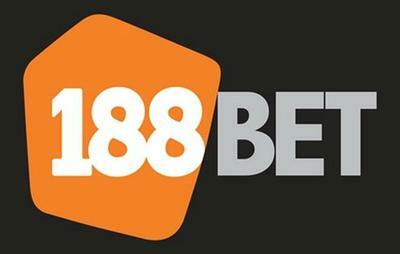 Comments for 188Bet Review - Is 188Bet a Safe Asian Bookie?